Are you looking for a Pre Purchase Property Inspection Langwarrin? Peninsula Property Inspections are your local property inspection experts, with over 10 years experience. We provide same day reports and a fixed fee for our professional inspection service. It is vital to have a clear understanding of a property’s structural and overall condition prior to purchase. At Peninsula Property Inspections, we offer clients a systematic inspection and comprehensive report which assesses the condition of over 300+ items throughout the property. We have the knowledge and experience to identify issues that can go unnoticed to the untrained eye; potentially saving you from a costly repairs and additional expense should an issue go undetected. Can you afford NOT to have Peninsula Property Inspections conduct a pre-purchase property inspection on the home you want to buy? Site drainage, driveways, paths, garages, carports, garden sheds, workshops, fences and gates, are also assessed. Peninsula Property Inspections offer three packages for house inspections up to 110sqm (12sq). Please select the package that best suits your requirements. At Peninsula Property Inspections, the construction integrity of all property structures is of utmost importance at all times. Following the inspection we will provide a detailed description of all identifiable defects, a summary of the report’s findings, including concerns that require attention. All property inspections are carried out in confidence. Verbal discussions on the findings will be provided immediately and reaffirmed in a comprehensive report. 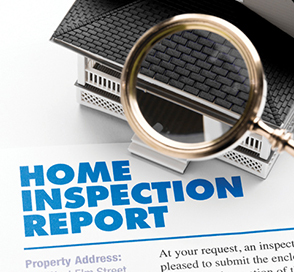 A softcopy of the report will be emailed shortly after the inspection. Please note as part of our customer service to you, Peninsula Property Inspections offers FREE and unlimited consultation on all report findings for the period leading up to settlement.